Our Vouvray is stunning with its elegancy and freshness, which carry through the ripe fruity palate, marrying with hints of honey and apricots. The Siegel Special Reserve Viognier has a pale yellow color with green tones. The nose is quite intense with superb notes of white peach, grapefruit and floral expression. 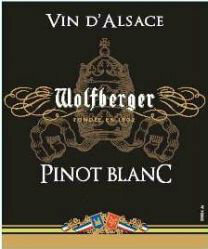 On the palate, the wine is balanced, persistent and it has an excellent acidity. The Siegel Special Reserve Viognier is a blend of Viognier aged in French Oak barrels for 3 months and Viognier aged on the lees in stainless steel tanks. The wine didn't go through a Malolactic fermentation in order to keep it lively and fresh. It was bottled right after a slight filtration. The Siegel Special Reserve Viognier goes well with thai food or fish cooked in sauce. Pale pink rose color, a classic gris de gris wine with salmon hues. Delicate strawberry nose, seamless and fine pointed. For this special project, the producer had to focus on the pruning technique, ploughing, lowering the yields, sorting the grapes, selecting the tanks, with a permanent focus on the respect of the environment. All the grapes were harvested by hand. In the cellar, vats hygiene, temperature control, ultramodern pressing contribute to a better expression of the terroir. Enjoy as an aperitif or with grilled fish, shellfish and appetizers.